Let's Catch the Big One! Call Us Now For Availability & Rental! 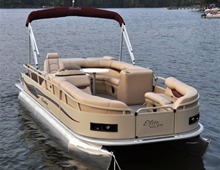 • Our pontoon boats comfortably seat up to 12 people. Invite your friends and family. • With our pontoon boat rental, you get the best bang for the buck when it comes to all day family fun. You'll find our pontoon boat rentals are cheaper than almost all things on the water. • If you are born after January 1, 1988 you are required to have a Florida Boaters Permit. We offer this test on site for $3. Please allow 20 minutes to study and complete the test. 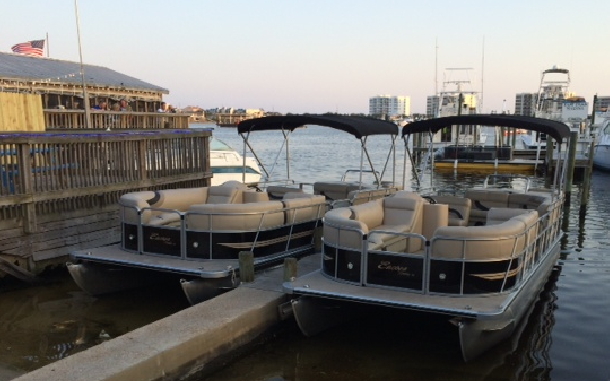 • A Destin Water Fun pontoon boat is safe and easy to drive. • Fully cushioned, comfortable seats. Our pontoon boat rentals include boarding ladders for swimming and bimini top to offer lots of shade when needed. 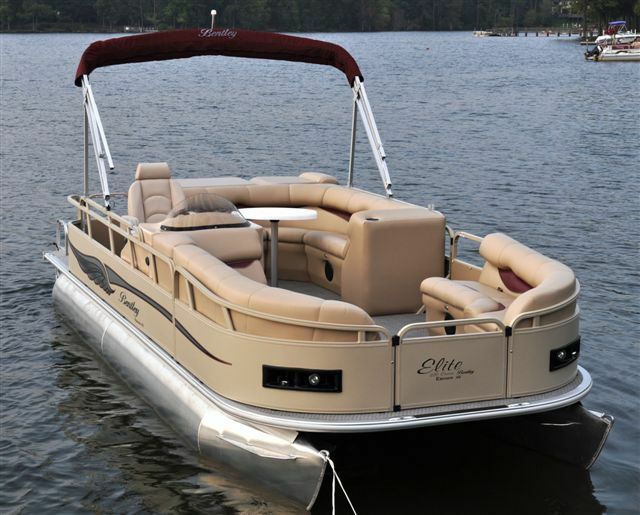 • New, safe, stable and well kept pontoon boats. Cleanest and newest pontoon boat rentals in the harbor! • 4-stroke fuel injected motors. • Multiple captains available. If you are not comfortable operating a pontoon boat, just ask. We can still offer you a great day on the water. Full and half-day rentals available. You'll love our pontoon boats. They are quiet, and simple to operate. •We have all new 3 seater Yamaha Waverunner / Jetskis. 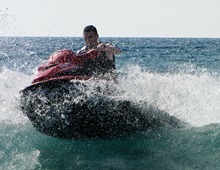 Unlike other waverunner / jetski rental companies in Desitn our Waverunner / Jet skis are not governed down. They go the full 50-57 mph for and fun filled day. •It’s never been easier to rent a jet ski. 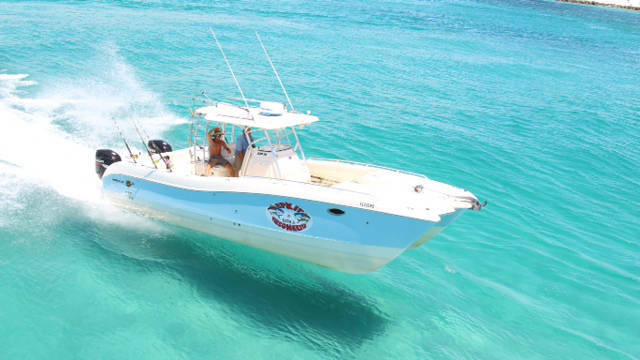 Our safety oriented staff provides excellent service to you This includes detailed instruction on the operation of your jet skis, tips concerning jet skiing in the gulf of Mexico, and how to get the most out of your time on one of our Yamaha WaveRunners / jet skis. Whether it’s your first time riding a jet ski, or you’re an experienced jet ski rider, Destin Water Fun will get you set up for a great day on the water! A typical ride times is 2-3 hours. We also offer them for just 1 hour, or you can get a nice discount to rent one for the whole day with a package deal with a pontoon for the most fun on the water. All of our jetskis rentals are not only in great shape but they are always kept it tip top mechanical condition so you know you will have a great day on the water while in Destin Fl. 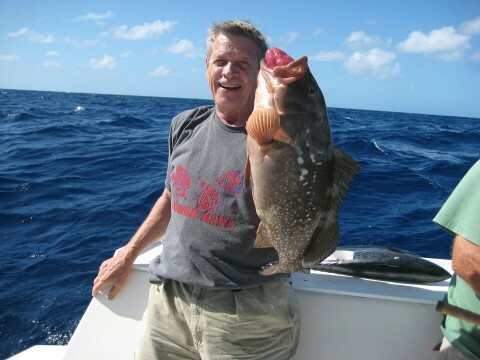 Destin Charter Fishing provides excellent deep sea fishing experiences by a group of experienced local captains. It's not just a job, it is our passion! All of our boats are equipped with top of the line electronics, and color wide screen monitors. We use state of the art side scan imaging, and a 48 nautical mile radar scanner to put you on the best fish of your life. We have many satisfied, repeating customers, that come back year after year. Our customers always leave with a smile on their face and great pictures to show friends and family, and of course bragging rights! You can even take your fresh catch for dinner that night. Fun for the whole family and people of all ages. We provide the proper size life jacket along with the best poles and tackle. We work so you dont have to. Kid's enjoy the time with mom and dad and the memories will last a life time! We take great pride in keeping the kids laughing and part of the team. 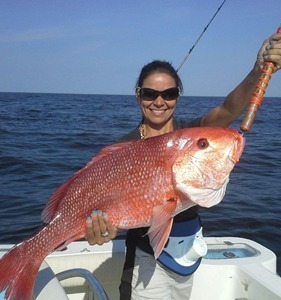 No one gets left out when you charter a fishing boat from Destin Maximum Fishing Fun!.